A website is an important asset for a business owner. It is an important asset because every business expects a lot from its website. So, when it comes to fulfilling that expectation, many websites fail to do so. This is a very much painful experience for business owners. But have you ever wondered why your website doesn’t perform up to your expectation? Maybe the reason is that you didn’t get a super fast website design and development service for your website. Without a super fast website design and development, you may never get the expected outcome from your website. Good question, if that came from your mind. In our country, Bangladesh, people are enthusiastic about owning a website for personal reason or business. But, hardly people can be found who think about optimizing their website. Without a super fast website design and development, your website might not be attractive to the visitors. Most of us already have a slow internet connection. On top of that, if your website is slow, it can even derive anger among the visitors. So, they will instantly switch to other websites for their purpose. This means, no conversion for you. So, simply because of not having a super fast website design and development service might completely destroy your purpose to build a website. Another important reason for getting a super fast website design and development service is, getting ranked in the google search. Many people, still don’t have any idea regarding the advantage of getting ranked at the top on Google’s search. For B2B businesses, its a must and for small organizations that don’t have a strong brand presence, it’s the only way for them to get noticed. So, getting ranked is important and in order to get ranked, having a super fast website design and development is important. Because Google’s algorithm supports website that is more user-friendly. Website speed plays as a major indicator of user-friendliness. So, it is mandatory to get your website a super fast website design and development support. So, now that we have learned about the importance of getting a super fast website design and development service, we need to know where to get such support. Any website design and development firm would offer you a super fast website design and development service. But the problem is with the credibility. But we can offer you our support. 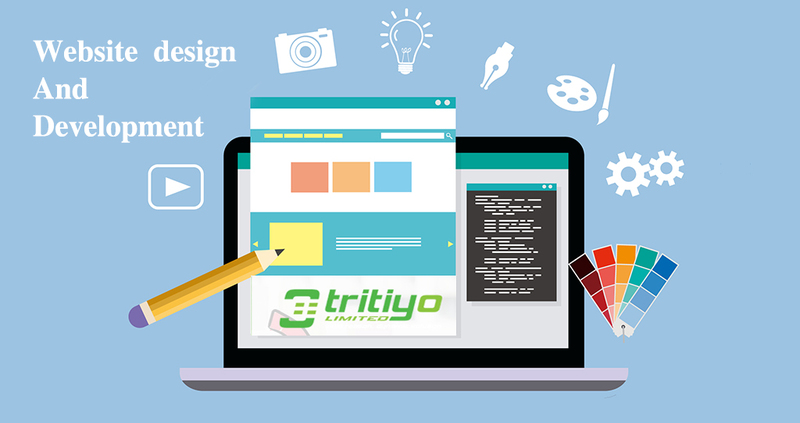 We, Tritiyo Limited, have more than 10 years of experience in the website design and development sector. Now, why would you listen to us when there are a lot of other service providers. We believe, our portfolio is enough to wipe the mist of doubt from your mind. After working for so many years, finally, we are considered as the best website design and development company in Bangladesh. We also provide Domain and Hosting service. If you want us to perform super fast website design and development for your organization, then contact us. Because we would love to give you the ultimate solution.